NSD / iNSD 2016 is here! And I have some freebies for you, along with some new releases. Since it's NSD time, that means summer is right around the corner. 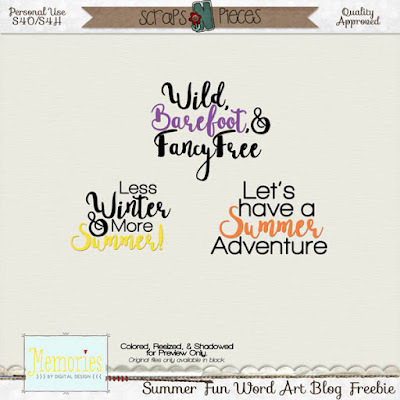 How about some fun summer-inspired, sun soaked word art and templates?! 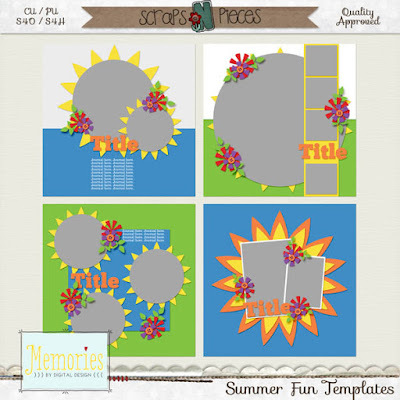 Introducing Summer Fun Templates and Word Art Packs 1 and 2. These are 50% off through May 7 (40% off May 8 and 9). Word Art pack 2 is being given away for free here on my blog, on my Facebook page, and through my newsletter. Be sure you don't already have these before purchasing that pack. Images are linked to products in store. Thank you for sharing these beautiful word arts! ... will have to go put pack 1 in my cart! Thanks for the lovely wordart here and on your Facebook page Tammy. Great collection. Happy iNSD weekend. You're welcome! :) Happy NSD Weekend to you too! Thank you, love this kit! Thanks for the fun word art! You come up with such fun titles.